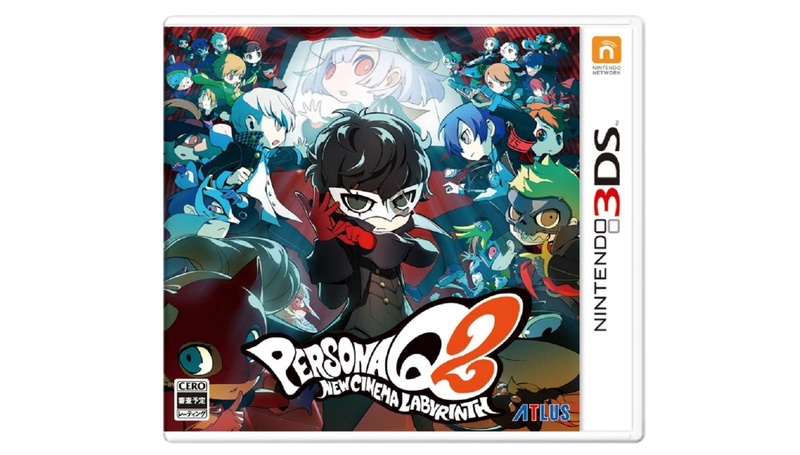 Atlus recently revealed the 3DS title Persona Q2: New Cinema Labyrinth would be released in Japan on 29th November. The reveal was made in a commercial during an episode of the Persona 5 animation. Although there's still no word regarding a western release, more news about the Japanese version is starting to surface. The first official trailer for the game has now been published, showing some in-game footage along with more cinematics. This sequel to Persona Q: Shadow of the Labyrinth will also include characters from previous games in the Persona series, as can be seen in the trailer and on the game's official website. Take a look at the trailer above and tell us if you're excited about this new entry in the Persona series. Sweet, just wish it wasn't most likely a year or so away for localization. Because really, I wish we were getting a Persona game on Switch. @Heavyarms55 even a Persona 5 port would be nice on the Switch. But this is on the 3ds with a reason, there were already busy with this for a long while and the previous game used the second screen heavily. Pervy Kamoshida as a superhero? Only in Hollywood. Still, there's always Shin Megami Tensei V. I'm eager for them to update us on that. The wait for SMT V is going to long and arduous. I wish Persona 5 was on some kind of handheld. Vita or Switch, I'd take either one. What I love about Switch is how I'm not tied to the TV when gaming, and I played Personas 2, 3 and 4 on PSP/Vita and I don't want to play P5 tied to a TV, even though I know it's awesome and all. Sigh. At least there's SMT V.
3 casts in one game...this is gonna be a mess and I can't wait for it. I know it needs the second screen, but this feels so out of place releasing as a kind of big title on 3DS now. I love the 3DS, but haven't had much play with it since Switch's launch. By the time localization is done it's believable 3DSs won't even be produced anymore. I recently finished Persona 5, was my first persona game, but man did I love it. I don't know about these Persona Q games, I'd rather get a new or maybe a port of the other persona's for switch, I'm way more interested in checking out like P4 after finishing 5 now. @dougphisig Just remember that the battle systems while the same are different in 3 and 4. There is less Quality of Life changes in those games compared to what they did for 5. @dougphisig Persona Q was one of the awesomous crossover title on the 3DS. Basically it took characters from Persona 3 and 4, chibi sized them and put them in Etrian Odyssey-like environment. I'm looking forward to playing this when it comes out and personally, I'm glad that the 3DS is still coming out with great games! @eltomo Yep. He's gonna be playable for this game. YES! That looks awesome - Loved P5 and Q1. Really hope they bring this to the US. The dream is P6 on Switch.